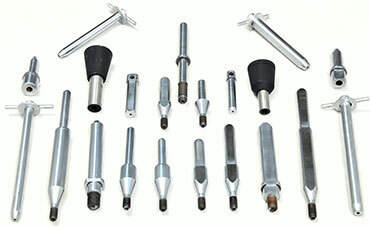 The above set up of Accessories is a very ideal method to mould castings without shift. Cast Iron Moulding Boxes are machined perfectly for the required geometrical accuracies and fixed with 2Nos. of Round Bushes and 2Nos. 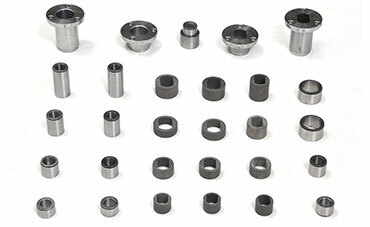 of Flat Bushes and guide by them.The Guide Pins (1 No. of Round and 1 No. 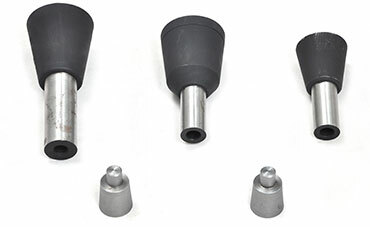 of Flat) are clamped in the 15 degree angle Taper Bushes (M/C Table Guide Bush) for perfect seating. A Plywood is mounted over the M/C Table to reduce the shock load and to avoid the match plate impression over the Table. Also 4 Nos. of Threaded Bushes are fitted in the M/C Table, to clamp the Match Plate.